- Even though this can fit your vehicle, we cannot guarantee fitment for your application because we cannot know if you are using wheel spacers (or not) and cannot know what wheel/tire set up you are using. - Buyers are responsible for choosing the correct Thread Type & Shank Length for their application. [QUALITY] Authentic Precision European Motorwerks Stud Conversions. Pack of 20. 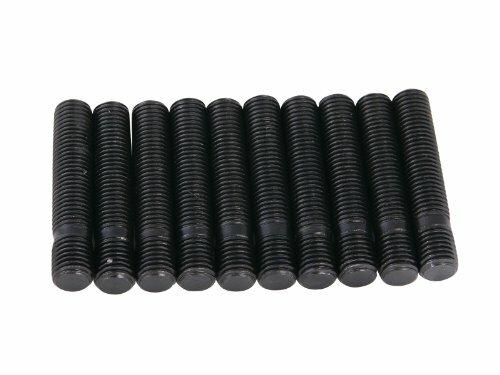 [APPLICATIONS] European Vehicles (BMW, Mini, Volkswagen) that use 12x1.5 threaded lug bolts. [MANUFACTURING] Heat Treated 10.9 Grade Carbon Steel. Zinc Coated. Corrosion/Rust Resistant. Heat Treated coating prevents oxidation and protects the metal. [BENEFITS] Allows for faster and easier wheel changes. Allows the use of aftermarket Tuner and Racing Lug Nuts.